This micro-propelled dry touch powder spray helps achieve extreme volume and a disheveled texturized effect, perfect for finishing or enhancing a style. Let your look go swinging! Channel flirtatious volume a la 60’s with a modern textured twist. Our most intense yet no rough touch texturising spray. Micro-propelled powders formula for a flawless looking dry finish. Innovative triple diffuser inspired by backstage pros gesture: propelling the sprays with hairdryer for and even and larger coverage. Built-in pro gesture to create more volume and more texture in just a stroke. HOW TO USE: Shake well before use and between applications. 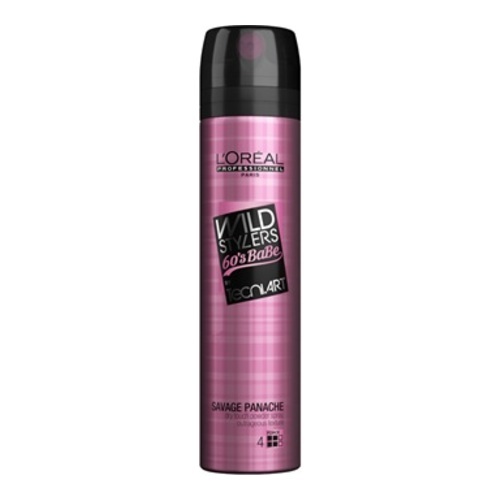 Spray onto dry hair in even strokes anywhere you want lift and texture. Scrunh and tease when applying on the lengths. PRO TIP: To create the ultimate root lift, apply on the roots before backcombing the small individual sections. Use the bristle brush to smooth the look of hair slightly without crushing the height.